os? Padilla (fl. since 1970s) is a Spanish disc jockey and producer of ambient music. He is best known for his work as DJ in the Caf? del Mar bar in the island of Ibiza, and is considered responsible for popularizing electronic chill-out music. 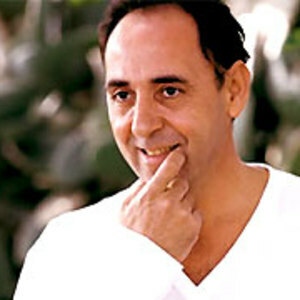 Born in Barcelona, Padilla moved to Ibiza in 1975, taking up the DJ residency at Cafe del Mar in 1991. In 1994, he compiled the first Cafe del Mar album for the React label. Born in Barcelona, Padilla moved to Ibiza in 1975, taking up the DJ residency at Cafe del Mar in 1991. In 1994, he compiled the first Cafe del Mar album for the React label. The series is now in its 16th volume and has spun off several related compilations, as well as leading to the creating of the bar's own eponymous label. Padilla selected tracks for the first six, as well as the 20th Anniversary commemorative release. While several tracks of Padilla's appeared in his various compilations, it wasn't until 1998 he released his first album, Souvenir, on label Mercury Records. The CD featured collaborations with several chill-out musicians, including Lenny Ibizarre and Paco Fern?ndez. His second album, Navigator, was released in 2001. Padilla continues to be the resident DJ at Cafe del Mar, but is also touring around the world. However, he has recently released a new compilation series, unrelated to Cafe del Mar, called Bella Musica.